Kickstarter continues to be one of the places you find items that device manufacturers should have included with their new items. 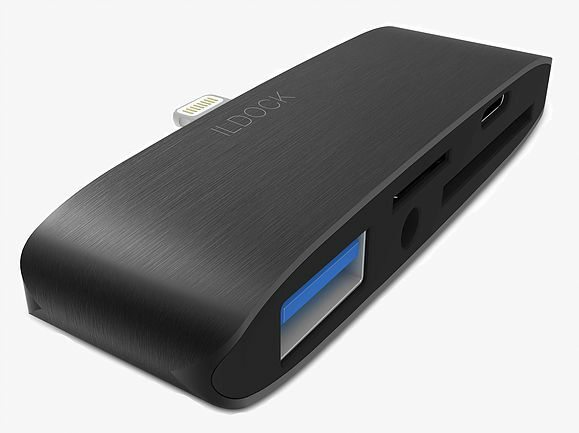 My most recent sponsored item is the ILDOCK for iPhone 7. While I don’t have an iPhone 7, I do use a 6s Plus, and really want the ability to use SD, TFT, or lightning cables with my iPhone’s lightning port. I have an Apple SD card adapter, but this little gizmo is smaller, has more ports, and looks to be much more versatile for iPhone users, especially if you’re limited to one port and no way to charge. Currently, it’s running at 26X their modest funding goal, so they are going to arrive. But it you’d like to get in on the first batch, there are 12 days left. Visit iLdock.com for more info. Pointless purchase because in 12 months Apple will change the connector to a new “standard” and this dock will become useless and get thrown away – like all the accessories I bought for the first iPhone connector.